Dr. Paa Kwesi Nduom addressing the gathering. The founder and the leader of PPP Dr. Papa Kwesi Ndoum say in a recent interview that the current government administration led by president Nana Addo Dankwa Akufo-Addo is complete ignorance of governance. according to the CEO and the owner of Groupe Ndoum says that the current economic situation in the country is mismanaged as a result of a lack of strategic economic ideas. he tagged the government as ignorant and misplaced. dr Papa Kwesi Nduom lamented over the current hard situation in the country that the citizens are facing in Ghana. Dr. Papa Kwesi Ndoum is currently going through financial problems in one of his investment companies and accuses the current government of more mismanaging the financial sector of the economy and results more companies are faced with negative impact. according to dr Papa Kwesi Ndoum, the current president of Ghana president Nana Addo Dankwa Akufo-Addo has never done anything right since he came to govt. According to him the presidents of Ghana touched education and there have been so many challenges faced the education system, he also touched the security and there’s been so much inconsistency within the security system in Ghana, the doctor says that he is hoping the president will not touch the health system else what will happen in Ghana will be unbearable. 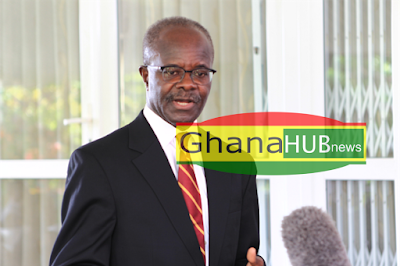 dr Papa Kwesi Nduom says his companies were doing so well during the President John Dramani Mahama’s government and it was actually faced with minor challenges and thought the current president of Ghana with the loud mouth and huge promises could do much better than John Dramani Mahama. But what we are seeing today is far different from what we expected, it’s far different from what we were promised. Ghana is under torrent, Ghana is going through difficult times, companies are collapsing, schools are collapsing, people are suffering, nothing better is happening in the country yet we claim we have a president. Dr. Papa Kwesi Ndoum also lamented over the misappropriation of public funds which goes into unnecessary spending, he also cautioned voters that in the next elections they should be very tactical in voting, else if this government should continue, things will get worse and we won’t be able to afford anything in this country. he says incompetent tag is too much a praise for this government the government is totally ignorant.